A TESCO WORKER who alleged he he’d been bullied and harassed at work, and had been sent home because of his beard, has been awarded €2,500 following a hearing before the Labour Court. He contended that the behaviour of management towards him deteriorated over time because of his beard, even though he said he always kept it neat and tidy. The man said he was suspended without pay for four months over his beard, and his mother wrote to the CEO on two occasions to complain about how her son was being treated. The man’s union took the position that management “began a vendetta against him because he had a beard”, which ultimately resulted in the suspension. Reference was also made to an alleged incident with a manager who became aggressive and poked him with his finger, as well as having his hours cut. He also submitted that he was not provided with a beard net and, even when he sourced his own, he was not allowed wear one. In response, Tesco said that over a three-year period the man was asked to attend meetings to discuss “his appearance, his performance – speed and accuracy, his leaving work early, his uniform/safety shoes, his holidays”. Following the letter from the man’s mother, the grievance procedure concluded the man’s beard “did warrant management taking issue with his appearance and they were entitled to discuss same with him but said this ongoing issue was made more difficult because the store was unable to order a beard net”. The worker appealed the result of this investigation internally, but it was found that he was sent home because his beard “was not neat and tidy in line with the expectation of the company”. In the original case before the Workplace Relations Commission, Tesco submitted that it would take a number of measures to support the man in returning to work from sick leave. The WRC adjudicator ruled: “In relation to the beard incident and being sent home I believe management could have managed this situation in a timelier manner and feel that sending him home without pay was a punitive action. Whilst it is not obvious how much the loss of earnings was I recommend a compensation payment to the Complainant of €2,500. The adjudicator also said the most important aspect of this recommendation was that the worker aims to put this affair behind him and focus on getting back to work. The man subsequently referred the case to the Labour Court. It upheld the recommendations of the WRC adjudicator. It said: “The Worker should actively engage with the employer in relation to his return to work and should follow the employer’s policy in relation to holidays. 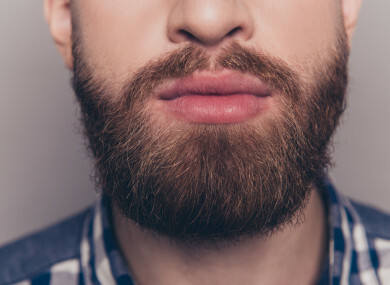 The employer should pay the Worker the sum of €2,500 compensation in recognition of the fact that the “beard” issue could have handled in a timelier fashion. Email “Tesco worker 'sent home because of his beard' awarded €2.5k following Labour Court hearing”. Feedback on “Tesco worker 'sent home because of his beard' awarded €2.5k following Labour Court hearing”.